More countries are joining in the battle for the Arctic. A Danish scientific expedition left for the North Pole yesterday with the intention of disputing Russian claims on the underwater Lomonosov Ridge. In Moscow, a project to create a Russian Arctic National Park was hastily launched to beef up the Russian presence near the disputed area. Washington as reacted as well. The icebreaker Healy has been dispatched to join a research group that has already been studying the Arctic Ocean floor for four years. 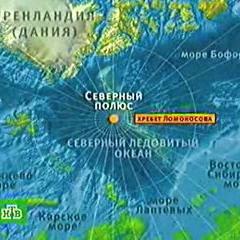 The Russian Arctic National Park has already been given the approval of ecologists at Rosprirodnadzor, the federal resources management agency, and is planned to be ready by 2010. It will consist of 8.5 million hectares, including 6.1 million hectares of territorial waters, as well as the Franz Josef Archipelago, Victoria Island and the northern part of the Novaya Zemlya Archipelago. The creation of the park was foreseen in a 2001 government resolution, but its sudden implementation is hardly coincidental. Last week, Canadian Prime Minister Stephen Harper announced plans to expand the Nahanni National Park Reserve significantly and grant the northern territories special status. The American Harper's Magazine revealed that an American research group has been preparing for that country's application to the UN. The icebreaker Healy has been sent to reinforce the group's efforts, at a cost of $100,000 per day to operate. � 1991-2009 ZAO "Kommersant. Publishing House". All rights reserved.